There are lots of noggins in my family so I love that these cute knitted headbands work up quickly. 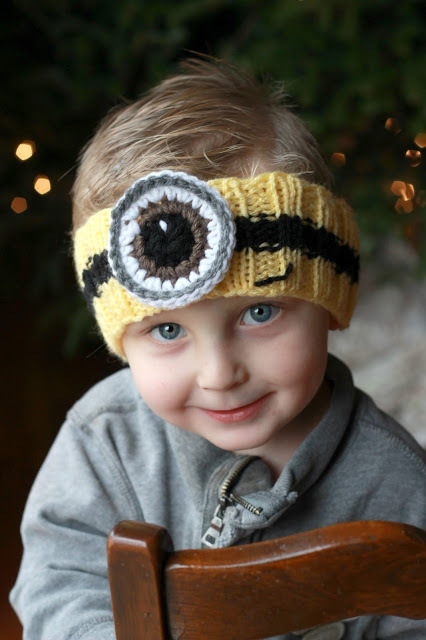 The kids love them and the pattern is easy to adjust for lots of different looks. 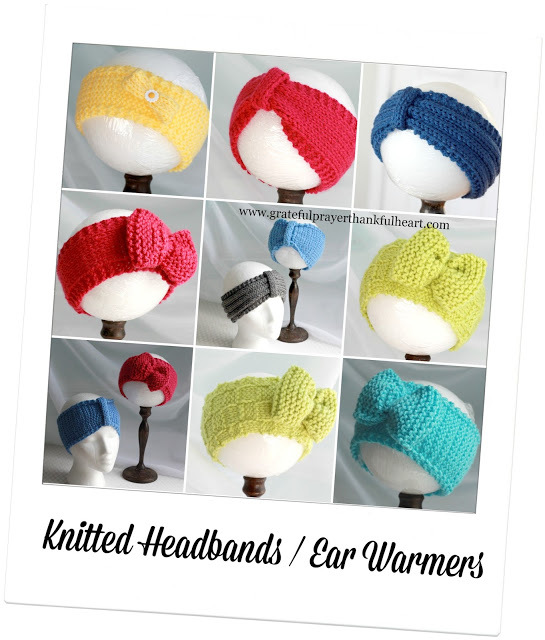 Keep those noggins warm with easy knitted headbands and ear warmers. They make great gifts! I do hope these instructions are clear. I pretty much work as I go and make decisions and pattern choices along the way. Bind off leaving a length to yarn. Fold piece right sides together lining up the short sides; sew edges. Knot and weave in ends. 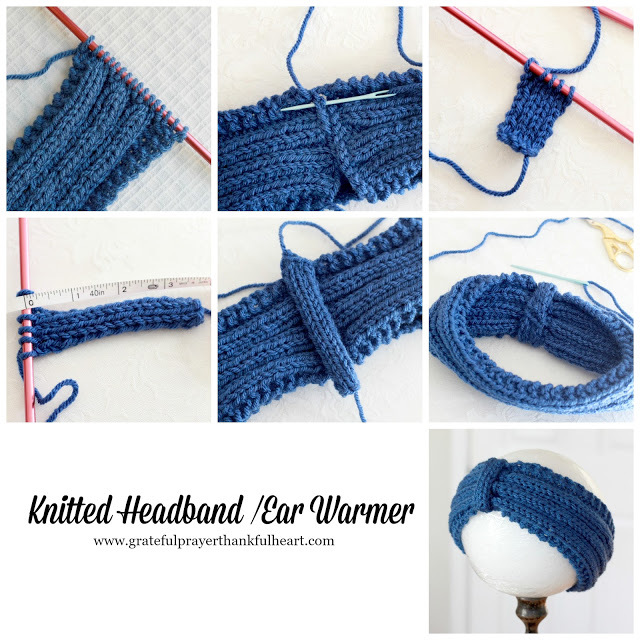 Knit each row until piece is 8-inches long. Bind off leaving length of yarn; sew ends together and using same length of yarn, wrap several times around center of bow to shape. Secure to the headband with a few stitches; knot and weave in. Depending on your preference, make either side of the knitted piece the right side. I like both looks. I like the way the edge looks and work either 2 knits or 3 knits on both edges. 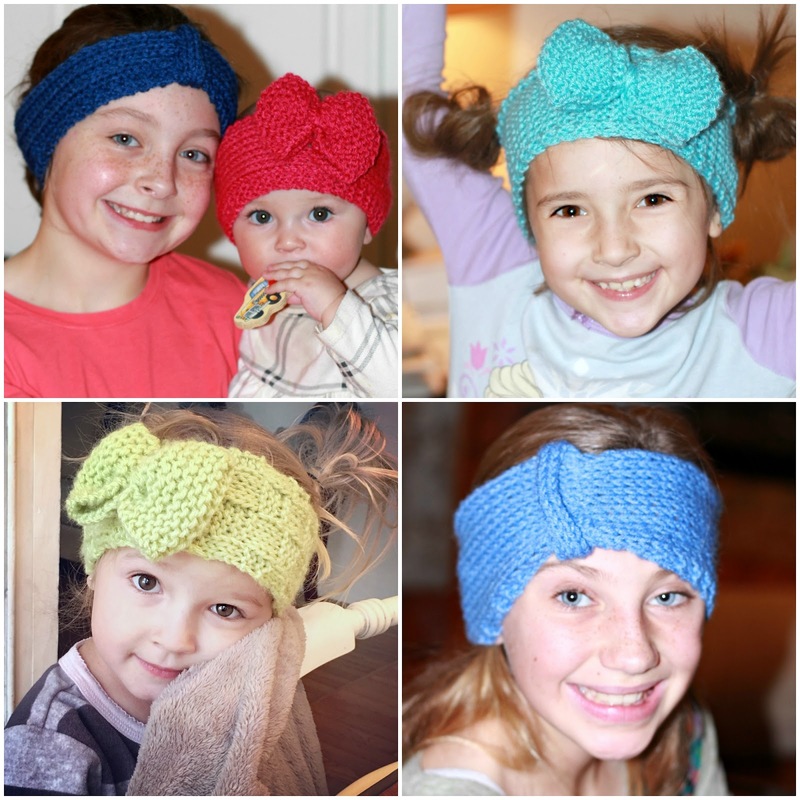 Cast on however many stitches you want to create desired width of the headband. 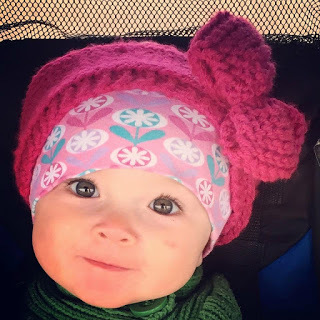 Less cast on stitches for a thinner headband and more for a wider one. Also consider the weight of your yarn and choose the needle size that you prefer. The Basket weave (Chloe’s chartreuse green Headband, bottom left in photo) just alternated rows in sets of four. Continue row 1-2 until piece measures 4-inches long. Bind off leaving long length of yarn. Wrap tab around knitted headband covering the seam; stitch closed and secure to the headband so it doesn’t slide around. What a great idea! These are great gifts and so cute! All the headbands are very cute!!! 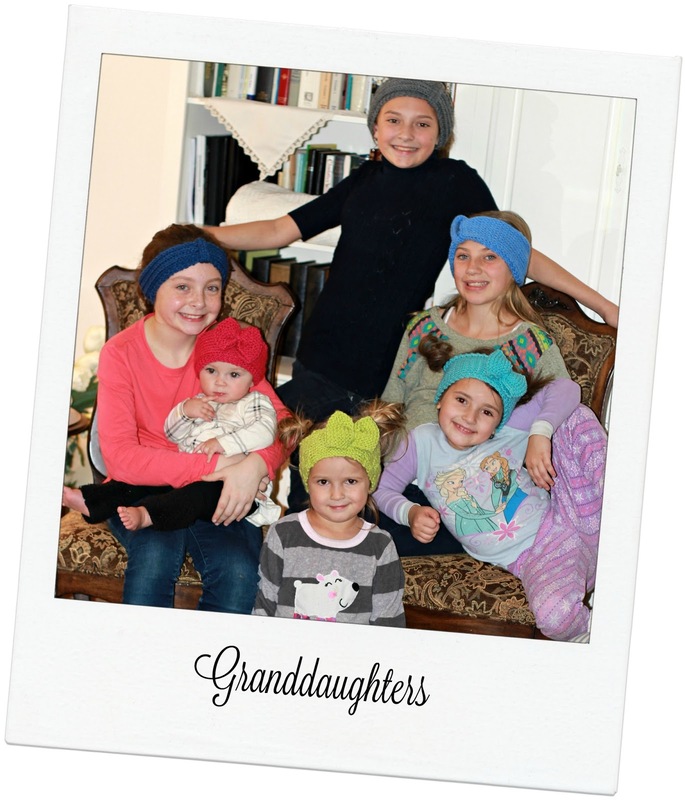 These headbands are adorable, as are the grandkids. These are absolutely darling and so very practical! These are beautiful and practical too! Thank you! Love this small projects!